Within this written material I would like to call attention to something very significant. There is no doubt to many knowledgeable American’s that the elements of good science are on the decline today and ironically from those government agencies responsible for good science. But why is this significant today and for the tomorrows to come? Opportunities develop the basis for science, then onward to answer significant questions, and at the same time preserve things that are of utmost importance on this planet. As humans we do not really pick and choose these elements – rather hope above all hopes that we observe those oh so correct elements, then take proper action based on sound and proper data, that develops into good decision making – then onward to secure that proper balance that exists within a particular element, and will coexist with a positive development within our universe. Wild Horses on our Public Lands are just this situation, opportunities to expand our understanding of our planet, and our universe – cohabitation – a Universal Truth. We have missed the opportunity up to this point, as we have accepted very poor, but large amounts of source-references in the matter of Wild Horses up to this point in time. The management of our Wild Horses and by government agencies demonstrates this negative-occurrence quite readily; whereas, proper decision making cannot be accomplished by bad or manipulated data – and as we observe daily, and bad data (i.e. government agencies at this time politically and monetarily directed) becomes quite costly as well. But we need not digress here, as much as offer enlightenment, a light at the end of the tunnel so to speak (or write). Because of science we have experienced extreme growth on our planet. As we observe the destruction of our environment today, developed from bad/manipulated-science, it consistently overwhelms the truth — We have a lot to learn yet in the matter of science, and especially our Fossil Records that remain abundant on this planet. Oddly, this also represents the problems associated with Wild Horse’s as being found indigenous in the Americas. Often research is overlooked, that would re-define the present history of the horse. Embarrassing to many people associated with science and research, the fact is many government personnel either find the true fossil records insignificant (motivated by unethical means most often); yet others find it difficult to combat, with true facts in hand, with such entities as the Department of the Interior and their false science paradigms toward management. This government agency, in reality, defines its scientific goals within a political and even monetary representation of corporations in America. Within their paradigm, the truth means nothing, and corporate ideology means everything to them. The destruction of America remains on this unethical road to hell, as fossil records often become set-asides, ignored, and have even been known to wind up in dumpsters — then to the local garbage dump; disgusting behavior by government agencies indeed. So we go further within our example here, which defines the not so attractive attitude above, but with a bit more empathy toward the problem. Fossils of Brown Bears were not known, for example, from below the extent of the ice sheets prior to 13,000 years ago and all bears south of the glaciers were genetically distinct from those north in Beringia. Where did they come from? The newly discovered fossil turned out to be over 26,000 years old – twice as old as previous discovered fossil bears – yet genetically similar to them. What in truth is used in recording and establishing history, thereof, if the consistency of fossils located, and the attributes found within each dig – thus assimilated into a whole, or a graphic entity that becomes self-explanatory. There exists no explanation, or argument – if you will – from a government agency that references the continuity of fossil finds, rather just the opposite, and dictates the horse being non-indigenous due to one or two records of fossil finds. This remains inconclusive as a referenced situation, by our government employees, and knowledgeable people frown on such reference being given such importance or priority. Within a previous article I highlighted the fact that bears and horses were often found in the areas where wooly mammoths were discovered (due to eating habits, et al. ), even up to and including the year 1650. Now we discover Bears have similar problems within the fossil records, as do the Wild Horses – neglect? “It’s always been a mystery why Brown Bears (i.e. the fossil discovery mentioned above) did not migrate farther south if they were in Beringia as early as 100,000 years ago, and the passage wasn’t blocked until about 23,000 years ago,” stated Paul Matheus, paleontologist at the Alaska Quaternary Center. Although there was an implicit explanation that a population of bears with this distinct genetic identity had extended their range southward much earlier than could be demonstrated within the fossil record presently, there was a complete lack of any fossil records for a period spanning possibly 80,000 years. Assuming average species duration of approximately 2.5 million years, based upon the number of fossil species known in each stratigraphic interval contrasted with the number known today, Martin estimated that as many as 8,000 to 9,000 extinct primary species have yet to be discovered in the fossil record. Yes, Wild Horses in the Americas remains one of these “to be discovered” finds. Interesting, how facts when combined with honesty, that truth does become unavoidable. Conclusively, science does not function without the entire data base of reality being present and acknowledged as such — just as a television or a washing machine does not work unless plugged-in. When we explore the fossil records within a matter “not” of perspective, as that can be manipulated, but rather within the context of “learning” and of “knowledge” by the actual facts presented. Only then can we conclude an entirely different history of Horse’s in America; and the contradictions to what is available currently, does exist. This establishes, very well I might add, the Wild Horses and coincidently horses being indigenous in America. Unfortunately, and the major problem, is the fact this knowledge, the fossil records, contradicts the government agencies who represent corporations only and on America’s Public Lands. The Wild Horses for some contrary reasoning, then combined with ignorant reasoning, contradicts current government management paradigms as well. Yes, a criminal government takes a lot of things way from us in America (to include the non-essential and frivolous spending of taxpayer money), and it is time to fight back. When perusing further the fossil records of the horse in the Americas, for example, and attritional history of horse bones (similar to Bear’s bones, et al.) being found on many archeological digs, we then discover more of the Indigenous nature of the horse being well established in the Americas; thereby, the Wild Horse can and should, by all technical as well as ethical reasoning, become listed as an Endangered Species in America. In this article we develop a consensus toward establishing Wild Horses’ as indigenous in America. The truth is that science and good investigative research gives us this factual, and often overlooked information already. Oddly, it is developed from attritional information at archeological dig-sites. It is found within research papers and technical reports, in this case, from woolly mammoth dig-sites up and down the Pacific Coast and somewhat inland. Found commonly at these archeological dig-sites are wild horse bones, and found in abundance and in accord with many technical reports on this subject matter (inclusive). This is due in part to their similar eating and grazing habits during those times. The problem is the woolly mammoth story is much more interesting and publishable, especially within the pecking-order world of research and archeological discoveries; therefore, the highlights are directly on the woolly mammoth, wild horse bones overlooked in total. The positive attribute here is the fact we can easily place time-factors on horse bones found at many dig-sites of other mammals as well – and within the documentation of the attritional artifacts. 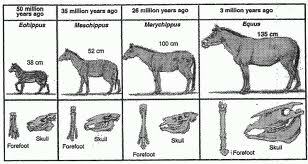 So we can develop an even more accurate time line, by going from one extinct animal to another, then find more information when carbon-dating bones of currently existent animals, with the overlooked horse bones beside them. Not just animal dig-sites but archeological digs of ancient buildings or townships become of interest to us for the same goal. And as above, these factors when combined, establish a definite wild horse presence in America throughout history, and the more interesting aspect, continuously. There exist variables, through reasonable explanation, essential evidence to the indigenous nature of wild horses in America. Unfortunately, many articles involved in explaining wild horse history, especially time-line factors, simply repeat the narrow scope of rhetoric presumed as the only historical facts available. Often these articles attest to research, but indeed are not researched what so ever, simply plagiarized material, and as a safety-net for many writers would have it – repeated information only. Most writer’s simply repeat the somewhat snobbish appeal of the European influence on Archeological finds, specifically about horses, existing nowhere else on our planet but within their European landscape – which, according to them, provided the availability of the wild horse in the America’s (i.e. other rhetorical reasons exist as well, but not mentioned here). But what we find when perusing scientific research, the facts become overwhelming — evidence that directly opposes the European-only origination of the wild horse. These facts, by this writer’s perspective, creates many questions left unanswered to this day, regarding the matter of the real history of the wild horse and its indigenous nature on the American Continent (this article does not delve into American Indian petroglyphs, carvings, etc…). Something not to be overlooked, ever — When there become more questions than available answers, that tells us, definably, there exists many things that have been overlooked or neglected within the specific subject and reference materials. 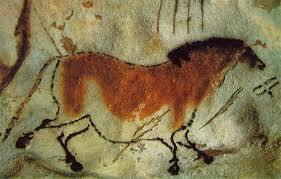 So we can explore such animals as the woolly mammoths, which lived in opened grassland biomes similar to the horse. Bones of wild horses also found within many archeological sites and right beside the woolly mammoth. Not so ironic the above facts remain a controversy to this day. And yet the controversy not of the horse bones, rather it surrounds the fact of extinction of the woolly mammoth – ironically, no one mentions how the horse survived on this continent for centuries, even though horse bones appear at so many archeological dig-sites, abundantly so – remains one of many more questionable aspect of archeology and subjects to be debated within the science community in the future. Yes, controversy in regard to archeological digs, theories, and subject matter are not headline news. So when we see an article, in this case on wild horses and their indigenous nature questioned or stated firmly non-existent, but does not mention the controversy within the science community on the subject (e.g. many archeologist’ believe the indigenous nature of wild horses does exist quite readily in America), then we can assume a grave error committed in fact-collection and research – simply by “things overlooked in their research on the subject” – and then we, as the general public, become victims once again, of incompetence and misleading information. The truism often overlooked, that at these sites where they discover woolly mammoth bones, they also find horse bones, as stated by many archeologist’s, almost always . . . note how it was simply glossed-over as an insignificant yet attritional development that substantiates the woolly mammoth presence, and the other animals simply incremental details. This occasion is consistent among many scientific and technical reports and journals. Many times the horse bones, as well as other animal bones and as mentioned previously, are in truth set aside information, although mentioned in the report on the mammoth; and just as often only mentioned in reference of proximity only – this, ironically, often overlooked by those who research the history of the horse, and disregard the timeline that the situation can and does establish, and very well I might add. But this also establishes the fact of horses coming over the Land Bridge into the America’s, way back when. Then we go to the West Coast of the America’s, the Channel Islands off of the California Coast, and we find further information associated with woolly mammoth digs. In the West we find bones of the pygmy woolly mammoth – “Summarizing the available radiocarbon chronology of the Channel Island Mammoths, it appears they have been on the islands, in pygmy form, essentially unchanged, for more than 47,000 years (beyond the limits of radiocarbon chronology). It also appears that they may have survived until the early Holocene colonization of the islands by the ancestors of the ancient Chumash people, first recorded between 10,800 and 11,300 years ago,” (i.e. Channel Islands (USA) pygmy mammoths (Mammuthus exilis) compared and contrasted with M. columbi, their continental ancestral stock). Whether the general mammoth population died out for climatic reasons or due to overhunting by humans is controversial (controversy discussed in “DNA Shifts Timeline For Mammoths’ Exit” and other science reports). The fact is the wild horse and the mammoth had similar appetites’, grasses, et al. . . A small population survived on St. Paul Island, Alaska, up until 3750 BC, and the small mammoths of Wrangle Island survived until 1650 BC. Recent research of sediments in Alaska indicates wooly mammoths (i.e. wild horse bones found there as well) survived on the American mainland, but the dates remain controversial – the fact wild horse bones found at these sites simply ignored, as once again the abrupt arrogance of subject matter, more plausible and certain to be published in science journals when highlighting the wooly mammoth rather than the wild horse bones . . . So once again the definitive-history is not that at all, but remains controversial. Perhaps the point of this article, when perusing these facts as well, and on your own, you will find several “theories” in regard to the history of the wild horse. “Theory” remains the key word here, because within the science community, new discoveries and better methodology in establishing time-frames and establishing historical elements of our past develop new perspectives of our past quite often. Only then are new theories developed, then perhaps accepted or not. . . what an odd way to develop history . . . The history of America’s wild horses’ fall quite nicely within this categorical demise of the old rhetoric, in order to replace the misinformation with the not so much new information at all — but with perseverance to actually study the overall consistent information that already exists within technical and archeological reports, but oh so often overlooked – after all, nobody wants to make waves within our society of today – OR DO WE? It’s past time to do so! Agenbroad, L.D. 1994. Taxonomy of North American Mammuthus columbi and biometrics of the Hot Springs mammoths. In Agenbroad, L. D. and J. I. Mead (eds. ), The Hot Springs Mammoth Site: a decade of field and laboratory research in paleontology, geology, and paleontology: 158-207. The Mammoth Site of Hot Springs, South Dakota, Inc. Hot Springs. Agenbroad, L.D. 1998. New pygmy mammoth (Mammuthus exilis) localities and radiocarbon dates from San Miguel, Santa Rosa, and Santa Cruz Islands, California. In Weigand, P. (ed. ), Contributions to the geology of the Northern Channel Islands, Southern California: 169-175. Bakersfield: Pacific Section of the American Association of Petroleum Geologists. Agenbroad, L.D., Morris, D. & Roth., V.L. 1999. Pygmy mammoths (M. exilis) from Santa Rosa Island, Channel Islands National Park, California, USA. In Haynes, G., J. Klimowicz and W.F. Reumer (eds. ), Mammoths and the Mammoth Fauna: studies of an extinct ecosystem. Proceedings of the First International Mammoth Conference. Deinsea 6: 89-102. St. Petersburg, Russia. Arslanov, K., Cook, G.T. , Gulliksen, S., Harkness, D.D., Kankainen, T., Scott, E.M., Vartanyan, S., and Zaitseva, G.I. (1998). “Consensus Dating of Remains from Wrangel Island”. Radiocarbon 40 (1): 289–294. Retrieved 2012-03-07. Vartanyan, S.L. ; Kh. A. Arslanov; T. V. Tertychnaya; S. B. Chernov (1995). “Radiocarbon Dating Evidence for Mammoths on Wrangel Island, Arctic Ocean, until 2000 BC”. Radiocarbon (Department of Geosciences, The University of Arizona) 37 (1): pp 1–6. Retrieved 2008-01-10. Cushing, J.E., Wenner, A.M., Noble, E. & Daly, M. 1986. A groundwater hypothesis for the origin of ‘fire areas’ on the Northern Channel Islands, California. Quaternary Research 26: 207-217. Haile J, Froese DG, Macphee RD, et al. (December 2009). “Ancient DNA reveals late survival of mammoth and horse in interior Alaska”. Proc. Natl. Acad. Sci. U.S.A. 106 (52): 22352–7. Bibcode:2009PNAS..10622352H. doi:10.1073/pnas.0912510106. PMC 2795395. PMID 20018740. Retrieved 2012-03-07. Foster, J.B. 1964. Evolution of mammals on islands. Nature 202: 234-235. Mol, D. 1995. Over dwergolifanten endwergmammoeten. Cranium 12: 38-40. Orr, P. 1956. Dwarf mammoths and man on Santa Rosa Island. University of Utah Anthropological Papers 26: 75-81. Fountain, Henry (22 December 2009). “DNA Shifts Timeline For Mammoths’ Exit”. The New York Times. p. 3. Retrieved 8 August 2010. Orr, P. 1968. Prehistory of Santa Rosa Island. Santa Barbara Museum of Natural History. Roth, V.L. 1982. Dwarf mammoth from the Santa Barbara, California Channel Islands: size, shape, development, and evolution. Ph.D. dissertation. New Haven:Yale University. Roth, V.L. 1996. Pleistocene dwarf elephants from the California Islands. In Shoshani, J. H. and P. Tassy (eds. ), The Proboscidea: 249-253. Oxford: University of Oxford Press. Sondaar, P.Y. 1977. Insularity and its effect on mammal evolution. In Hecht, M.K., P.C. Goody and B.M. Hecht (eds. ), Major patterns in vertebrate evolution. NATO Advanced Studies Institute Series 14: 671-707. Stearns, R.E.C. 1973. (brief note) Proceedings of the California Academy of Sciences 5: 152. Stock, C. & Furlong, E.L. 1928. The Pleistocene elephants of Santa Rosa Island, California. Science LXVIII: 140-141. Tikhonov, A. 1997. (brief note) Zoological Institute Russian Academy of Sciences, St. Petersburg, Russia. Department of History of Fauna. Euromam Newsletter 4: 14-15. Wenner, A.M., Cushing, J., Noble, E. & Daly, M. 1991. Mammoth radiocarbon dates from the northern Channel Islands, California. Proceedings of the Society for California Archaeology 4: 1-6. There is a lot going on in the Wild Horse world of today. Keep in mind one person or one organization cannot, and should not have the ability to develop regulatory systems of management. Many debates exist today on how to legitimately control horse populations on Public Lands – and these many ideas overlook the most significant – Natural Progression. Often many people and organizations, in order to present their awkward at best agenda, promote a “Styled” population control methodology, that in reality and over the years gave cause to the current mess that exists. A natural habitat, as science finds over and over again, creates population control within a natural circumstance. But the question remains, how can we protect the Wild Horses in America and on our Public Lands? It is a process, since we as human’s require a process for just about everything we do, which most often stifle’s nature’s natural ability to manage things on its own. We humans have the ability to simply scoff at nature, and not so ironic pretend that we know how to manage nature better than nature does. We see the results of this particular mind-set daily. Engineers and Accountants slap each other on the back with congratulations at their dynamic designs – which often do nothing more than destroy many natural environments (for profit – e.g. Fracking or oil platforms both terrestrial and marine good examples, but the list is vast). 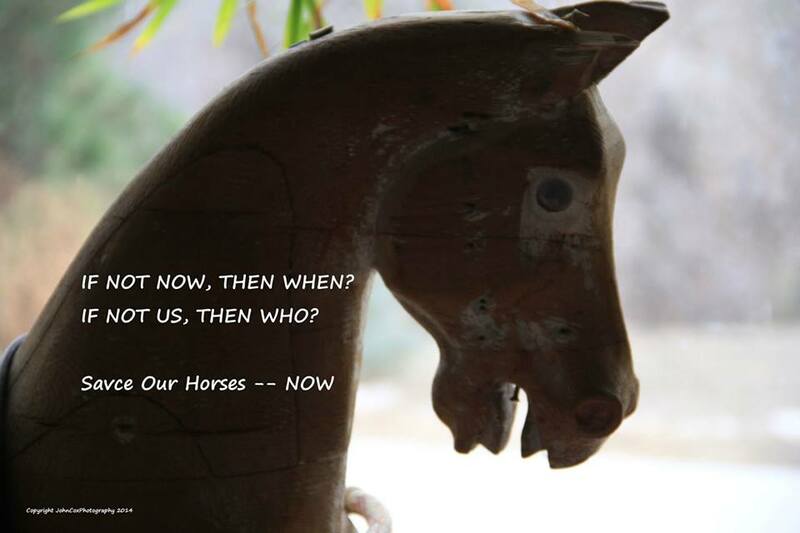 So onward we go, and when the mention of allowing Wild Horses within a natural habitat to prosper within a natural progression and biosphere, it is shunned ignorantly at best. And yet, within America’s Public Lands it is Grazing Permits of cattle that have shoved Wild Horses into smaller biosphere’s, combined with a government’s lack of knowledge of Wild Horse Herd Management, that have indeed destroyed the natural progression of our Wild Horse populations; which in turn have created Wild Horse Herd overpopulation – but the reality – there exists very few left on our Public Lands. But the numbers of Wild Horses taken from Public Lands overwhelmingly show beyond doubt, that if continued – in a short time period there will not be any Wild Horse’s left on America’s Public Lands. America’s Heritage Wiped-Out due to Stupidity and an overwhelming Know-It-All-Attitude; that has only created a worse situation, ten times more costly to taxpayer’s as well, that would NOT have happened if the Wild Horse Herds were simply left alone, or to nature’s own means of methodology. The fact is this – Everything on this planet of our does not have to be managed. Humans have screwed up just about everything we have attempted to manage! The reality is human greed and self-importance has corrupted our natural environment, and is currently destroying it as well. America has the Endangered Species Act. This is a situation that essentially defines whether or not we have managed a species correctly, or handled the situation within an incompetent manner – yes, disregarding the jurisprudence of legal fact, what is left to us is the reality – We as human’s have mismanaged wildlife due to our overwhelming ignorance and often even hatred or apathy toward many select species – the Wild Horse Herds on America’s Public Lands no different — thereby the ESA put into place to clean up our mess of our own creation! Right now it is Section 4 of the Endangered Species Act that needs our attention. It outlines the requirements for a species to become listed, and according to Law – Protected. Section 4 is the most extensive part of the Endangered Species Act. It spans a spectrum of activities beginning with how we identify species in need of the ESA’s protection, to their removal from the lists of endangered and threatened species, once recovery goals are achieved. Whether initiated by the Service, or by concerned citizens, listing a species is not an arbitrary process. In order to evaluate whether a plant or animal should be listed as endangered or threatened, five factors are considered using the best scientific and commercial information available. The process of listing a species is initiated in two ways. In the first process by which species may receive protection under the Endangered Species Act, the Fish and Wildlife Service or the National Marine Fisheries Service identify species for listing through internal assessment of their status. These assessments routinely incorporate information from scientific literature, Federal and State natural resource agencies, universities, and commercial sources. If the assessment concludes that there is sufficient information on a species’ biological vulnerability and level of exposure to threats to justify listing, a proposed rule to list the species will be developed. However, if the development of a proposed rule is precluded by other higher priority listing activities, the species becomes a candidate for listing until such time as a proposed rule can be prepared. Candidate species are identified in a document called the Candidate Notice of Review, published annually in the Federal Register. • possibly conserving these species so that listing is unnecessary. Candidate species do not receive any protection under the ESA, but are nevertheless a high conservation priority for the Service. If a candidate species is subsequently listed, the information provided in the Candidate Notice of Review will have identified threats and can help guide specific actions for the species’ recovery. The other way that plants and animals may receive the protections of the Endangered Species Act is by a request from a private citizen or organization that petitions the Fish and Wildlife Service, or the National Marine Fisheries Service to list a species. The petition must provide appropriate documentation of the reasons a plant or animal needs the ESA’s protection. To the maximum extent practical, within 90 days of receiving the petition, the Services make an initial response or finding and publish it in the Federal Register. The 90-day finding may conclude that the petition presents substantial information indicating that a listing action may be warranted. In this second scenario, the Service proceeds with the listing process by collecting and evaluating additional information about the species for a 12-month petition finding. In developing the 12-month finding, the Service conducts a status review that includes seeking additional information about the species from other Federal agencies, States, Tribes, natural resource organizations, universities, commercial sources, and the public. The objective is to compile as much information about the species and its status as possible, and make a determination whether the species meets the definition of threatened or endangered. When the proposed rule is published in the Federal Register, the general public is invited to provide comments, and peer review is conducted. If it is determined that a species needs protection under the ESA, a final rule is published in the Federal Register within the next year. It is the publication of a final rule that places a species on the lists of endangered and threatened animals and plants. Sometimes there are not enough budgetary or staff resources to proceed further in the listing process than the 12-month finding, in light of other species that have greater conservation needs and take higher priority for listing. In these instances, the 12-month finding may conclude that a listing is warranted but precluded by higher listing priorities. In these situations, a species is considered a candidate for listing. Thus, whether originating by internal agency status reviews or the petition process, species of plants or animals that warrant listing but are precluded from completing that process due to higher priority listing actions are referred to by the Services as candidate species. And again, while these candidate species receive no protection under the ESA, a key goal of the Services’ candidate conservation efforts is to encourage actions that will preclude the need to list these species. To assist this effort, both the Fish and Wildlife Service and National Marine Fisheries Service have developed programs to begin conserving these species while they are waiting to be listed. Removing or reducing threats to candidate plants and animals is accomplished through specific conservation actions. Often, these actions are identified in conservation agreements. Our partners for these agreements are usually other Federal agencies, States, or individual landowners who have an appreciation of our nation’s biological heritage and a desire to be part of the solution to a species’ problems. Restoring candidate species to ecological health also has the advantage of not being regulatory in approach and generally is less expensive than recovering species and their habitats, once listed. Though we have discussed the petition process as it applies to listing a species, under the ESA the Services may also be petitioned to delist or reclassify threatened and endangered species, and to revise critical habitat. As exemplified above, once again we run across the not so complimentary “Process” that simply conducts on odd strain of chaos toward “Humankind versus Nature” syndrome. Whether or not the Wild Horse Herds fit within this context of meandering special interest situations (or those in opposition) as outlined within this process, it will remain a due-diligence matter of concern. In this journalists’ mind it is an odd situation for several reasons, but first and foremost remains the “reality” — the numbers of Wild Horses are diminishing rapidly. Due to present numbers, it is quite obvious something has to be done; whether within our “human” process of articulating the matter into being significant — or following a process of priority within a cold and arbitrary reasoning methodology toward listing them as Endangered. But no matter the ideology, America’s Heritage, the Wild Horses on our Public Lands are endangered – and this writer needs no prescribed process to acknowledge this critical situation. Frankly, many American’s have had enough of those who manage our Public Land and America’s wildlife by those who either have no idea on how to manage either situation, or profoundly conduct their decision making arbitrarily toward lobby groups or political agenda. The time is NOW, for American’s to Stand and make those responsible for managing America’s Lands’ just that, making them America’s Lands’ rather than corporate land! To resolve the situation of the Wild Horses of today, to form an informational basis to establish the American Wild Horse (i.e. currently the Mustang) in the Western United States as an Indigenous Species, remains the objective of this series of articles. Ultimately, upon resolving the issues of Indigenous Species we can then, and only then, establish an Endangered Species status for the Wild Horses on America’s Public Lands. This will defend America’s Heritage, from greed and destruction — The Wild Horse. 2. Modern industrial agendas and economics remain definitive within the scope of “Uncceptability” or to not place the Wild Horse within the category of Indigenous, due to unsound and irresponsible monetary reasoning that prohibits their inclusion. The arguable situation, most often quoted in reports, legends, and research: Ancient species of horses had existed in North America many thousands of years ago, but they became extinct long before the ancestors of American Indians arrived on the continent. Thousands of years later, modern horses were brought to North America by Europeans. Counter to Present Day Perspective: Today, as usual with myth and misinformation, the perusal of documents, research, and articles of the history show beyond a doubt Wild Horses existed within the United States (the Americas) much earlier than thought. The European’s were not the ambassadors of the Wild Horse’s as claimed, rather their breeds (i.e. Arab, et al.) simply intermixed with the Wild Horses already in Western America, well referenced but ironically the material ignored. In reality Wild Horses’ already populated the Western Americas in the 6th century thru the 16th Centuries. The 16th century is when humankind began to write about horses, but indirectly; yes written records only, rather than the American Indian’s form of history (oral history passed from one tribe historian to another, and drawings, etc. ), was recognized back then. Unfortunate for the history of the horse, most of the historical attributes of that era were either in error, totally fiction, or totally true – no gray areas. As usual in cases such as this, the untruth is often more glamorous, dramatic, or useful to those who profit from information manipulation. History never changes within this aspect of record keeping over the ages. Within an irresponsible manner, severe prejudice and ignorance stepped forward, and the history of the Wild Horse recorded by (or socially acceptable and classified) civilized human’s only (historical description, not mine); this simply developed into written records and history from only a select few writer’s, whether credible or not, as long as they were of a civilized human writing the information — (note: makes one wonder about much more of our history in America, judging what’s acceptable compared to unacceptable, or what was considered humane compared to savage). After reading much of the historical records, and background of record origination, this situation alone, it can be said, decimated the history of Wild Horses, that is, until today. Cave paintings’ as well as rock carvings and hieroglyphs’ remain common-finds within the Western United States. Many people who hike trails, explore caves, and spend time on rivers or hiking the banks of rivers and streams, often locate American Indian signs – communications – their history. This subject is not contained within this article, but will be the subject of a later article, as references plentiful but require interpretation and a little positive limelight for a change. The significance of the American Indian history, accomplished in art-form, drawings, and carvings remain a substantial reference to the items within all articles on Wild Horses. These references mirror one another quite responsibly and ironically mostly ignored. Why? Hopefully, this question will be answered soon. But one item, of many, is assured, that the American Indian form of communication is a wholesome and true exhibit of history. There exist no manipulative agendas or ideologies, nothing but the truth. Horses are a significant part of Indian history, just as in the land-growth aspects within American history – a Heritage that should not be passed-off or forgotten, but placed within an iconic prestigious element of our humane growth as a people on this planet. So if we assume that something used so robustly, as the horse was used within farming, industry, and day to day use as we would an automobile or any other tool, then we only begin to understand the problem of establishing the Wild Horse as indigenous and within a literal as well as an Iconic circumstance. A Contemporary Wilderness Philosophy” attacks the “resources” rampant in western society, which treats nature as raw material, and offers a range of alternative philosophies: preservationism, biocentrism, ecocentrism, and deep ecology. We can bring together these strains into “a postmodern wilderness philosophy” that can, indeed, help develop a more humane venture for a true civilized society. This type of situation can build upon compassion, respect, and kindness toward fellow human’s, domestic animals, and wildlife alike. The Wild Horse then becomes a significant Icon within this perspective. In this account national differences are of little significance; the American experience was, in the 16th century especially, seen as an extension of European developments until the twentieth century, and when the voices of Thoreau and Muir were first really heard – thought essentially become more free, becoming that of ideology turning into reality. Not so coincidental with the Wild Horses, English carry-over mostly neglected the history of the horse as bland and even perhaps redundant and insignificant. Then the growth spurt of the American west, gold and oil; which before then only moderate growth experienced; it was the horse, not inclusive of the Wild Horse Herds yet, that were considered iconic within a necessity-perspective for transportation and farming, similar to the car or tractor of the later period of industrialized America. The Wild Horse remained symbolic of nature, an uncontrolled freedom, not to be tamed or harnessed, but allowed to roam. This eventually turned into another ideology, modernism rears up again to capture nature, to suspend freedom and at the same time grasp and destroy if not able to control — toward utility or profit. The wars started over land-grabs, railroads, timber, highways, industrial use over farms, cities to be made to develop enough people gathered into one place to work at these industries, and on and on — simply overwhelmed nature, and especially the Wild Horse – and the fact is, quite obvious, no one cared about the Wild Horse enough to establish a detailed history. This was the stuff of poetry, the ideology of what Nature was back then — and then industrial society reared its tarnished ideologies of profit, of industrialized corporate structure, of modernism, of elitist society, of criminal politicians. The Wild Horse becomes a non-virtue and unneeded any longer, a throw-away to be sacrificed — and many people, at that time, simply assumed they were in the way of modernism or progressive behavior. The Wild Horse shunned in an odd contempt within the virtues of the Pioneering Past versus America’s Evolutionary Future. We, as a people within this society, within this social spectrum of ongoing event, must contend that the wilderness ideology is not a romantic anachronism; rather, it is the idea of wilderness necessary to help us all, as a society, to transcend the ideology of “modernism” and reestablish an organic connection to nature. Wild Horses, among much other wildlife, do this quite well. To preserve the Wild Horse as an icon, allowing them to run free over America’s Public Lands, is merely an image currently. We can make this a reality with a little work, and a little perseverance, but above all, with a lot of intelligence and a lot of American’s to speak up and preserve our National Heritage – The Wild Horse. . .
University Law Review. 76 (1999):347-367. Ayres, R.U. “Limits to Growth Paradigm”, Ecological Economics, 19 (1996):117-134. Sciences with Ecosystem Management. Champaign, IL: Sagamore Press (1999). Investing in Natural Capital. Washington: Island Press (1994). Daly, H.E. and J. Cobb, Jr. For the Common Good. Boston: Beacon Press (1996). Godfrey-Smith, W. “The Value of Wilderness”, Environmental Ethics. Winter (1979):309-319. Loomis, J.B. and R. Richardson. Economic Values of Wilderness in the United States. University Law Review. 76 (1999):465-518. Noss, R. F. “Soul of the Wilderness”, International Journal of Wilderness, August (1996):3-8. Rolston, H. “Valuing Wildlands”, Environmental Ethics, Spring (1985):23-48. Journal of Wilderness, December (1998):2-8. There simply comes a time when questions need to be answered (REVIEW: 29 Dead Wild Horses in Murderer’s Creek Capture Report, BLM Cover Up, Again – review at: http://www.veteran-journalist.com) by the Bureau of Land Management and their incompetent management of America’s Heritage, the Wild Horse Herds on Our Public Lands. But we delve further into this chaos and discover the Environmental Assessments, at Murderer’s Creek, Oregon and that assume roundups of Wild Horses necessary. But as usual, we find the information fraudulent and misinformed at best. The BLM’s assessment, their Wild Horse Count numbers for example, certainly in error. Then we run across yet another conundrum, Forestry versus BLM information! 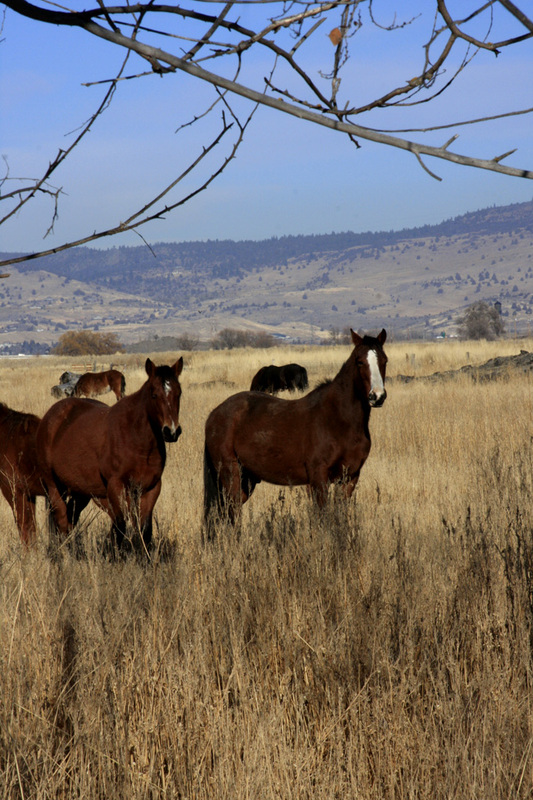 It’s definitely unclear how many horses are roaming the Malheur (i.e. Murderer’s Creek HMA, et al). 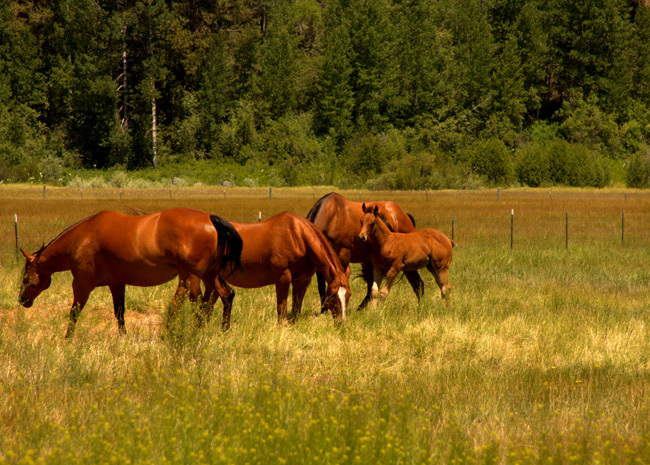 Forestry officials have estimated the population at about 400, but the count done in January 2008 found only 115 horses. So according to this published data, by the forestry, how can a “good” decision be made? Especially based on the over-population circumstance given to the public by the BLM or Forestry, within either one of their Environmental Assessments and need for roundups at Murderer’s Creek? The Forest Service believes that count is low, and says in documents that there are between 200 and 250 animals on the forest. The Stouts (Welfare Rancher’s who want to place more of their cattle on Public Lands via Permit) challenge that number and call for the population to be reduced to 100 horses, the number set by the area’s 1975 Wild Horse Plan — not the WH&B ACT for HMA’s, but the BLM’s Plant. You can start to see the confusion just within their few statement here and within their documents — A Conquer By Confusion psychology, if you will, and make lots of money from taxpayer’s! BLM currently, the Supervisor in charge of the Private Contractors, did not know about the 29 Dead Horses until the estimates and counts (received by us via FOIA) were delivered, and mentioned by us to him! Yet one supervisor claims all horses had to be delivered to Prineville, Oregon BLM Corrals for count to be paid? Yet he claims only 3 dead horses in 2 years have died there? Many questions exist here, yet go unanswered — 29 dead horses and $29,000 paid out to contractors! Your Money! Is this falsification of Voucher’s (for $29,000 and certainly a Felony)? Or, is the Supervisor covering up something else, more expensive and more costly to the taxpayer’s? The Murderers Creek herd became the focus of controversy in 2006. The area supports cattle, wild horses, elk and other wildlife, as well timber extraction, recreation and streams that are spawning grounds for threatened steelhead and bull trout. A series of lawsuits challenged grazing permits on the forest, and claimed cattle grazing was degrading salmon-bearing streams (basically riparian areas being destroyed by cattle). An injunction was granted in the spring of 2008, cattle were taken off of grazing allotments on the Malheur (i.e. Murderer’s Creek areas). The Welfare Rancher’s, cattle ranchers from Dayville, Oregon, were told they could no longer graze cattle on their 62,000-acre allotment along Murderers Creek and nearby Deer Creek, due to destruction of Public Lands and riparian area (biosphere) damage. The Welfare Rancher’s then, with no consideration toward taxpayer money, and the subsidies that they receive for grazing Public Lands (taxpayer based subsidies), only qualification was their BLM Grazing Permits, blamed the Wild Horses. The Federal Court hearing cost the taxpayers in the millions, over several years of time. The final demand by the Court, the Federal Court Judge stated clearly that innuendo and lies involved in the proceedings against the Wild Horses were untrue, they did not devastate the surrounding riparian areas – rather it was the cattle that created the ongoing damages. It was then stated that a settlement had to occur, or else! Outstanding and Daunting facts of scientific research (plentiful) contradicted, and still contradicts BLM’s Environmental Assessment’s directly, as well as the truthful necessity toward any of their roundups. Many grassland and terrestrial biological studies have found that horses spend less time in riparian areas than cattle, and that an abundance of literature shows that cattle grazing has a greater impact on riparian areas by far. The degradation is apparent throughout the Malheur (i.e. Murderer’s Creek HMA) where cattle are grazed, and especially where horses are not present. Then we discover one of the testimonies’ to be deranged at best – the individual testified that he seen numerous horse-hoof prints along the stream beds at Murderer’s Creek, but photos in Court clearly showed the prints to be made from grazing cattle (the Judge at the hearing simply nodded and shook head, rolled eyes, in disbelief, once again). Often where the issue is about horse impacts on grazing areas, several research studies seldom separate cattle from the horses, and generate their report by “hooved livestock” which also ironically include deer and Elk. Yes, wild horse herds have paid dearly in this situation, even though innocent. But the studies that do separate wild horses (for example) from cattle, do find that low elevation plots where horses do roam and graze, did exhibit notably greater plant species richness, higher percentage of cover, and abundance of grasses and shrubs. The study’s also established that at higher elevations, meadows protected from once grazing cattle (on Public Lands) grew 4.5 times higher than normal, and much faster as well. After perusing the many scientific studies and research, that is good science and not just because it is agreeable to advocate’s, but because the data is based on thorough research and facts, and the researcher’s well respected within their fields of study. Just a tid-pit note here — Today, many of the respected and well experienced researcher’s are contradicting much of the information BLM and Forestry are currently giving to the public and taxpayer’s. But the contradictions, and there exist many with both the BLM and the Forestry, for the need for Wild Horse Herd Roundups, become nothing more than money makers for both, and to include local neighbors and friends., and corporations and either coercion or intimidation tactics from Welfare Rancher’s toward government employees! Yes, this burdensome situation adds to even more cost from taxpayer money — the mom and pop ranchers no longer exist, the cut-throat and the hell with everyone — and the rancher’s perception that they deserve entitlements “just because” (so they suppose) is the Public Lands rancher of today! Make no doubt of this! [IN REALITY: the roundups do none of what is mentioned here and hereafter within the EA and toward any type of environmental resolution – indeed, taxpayer’s and wild horses lose again]! What is especially found troubling here is: “. . . protect rangeland resources from further deterioration associated with the current overpopulation, . . “ (meaning horses) and BLM and Forestry’s recommendations to remove horses, with no legitimate science that will backup their claim — although keep in mind, an Environmental Assessment supposedly is predicated on the fact of making decisions based upon good science – BLM’s policy and the biggest of all THEIR LIES – And because of the inadequate and confusing context of their EA’s, the least approachable, but the most costly in taxpayer money and death of wild horses! There is no use in reading Environmental Assessments from either of these agencies. Not only are they erroneous, based of falsified or troubling research, but remain misleading within the context of the subject matter. It can appear they know what they are doing, but proof-positive shows differently when action taken upon their misinformation and lies to the Public. Reasoning and common sense is totally out the window, all the while making decisions on such trivial pursuits of misinformation. Once again the American Public, taxpayer’s, are being ripped off by fabrication of facts, lies, criminality, and innuendo. The truth of the matter is these government agencies strongly feel they can not only get away with it, but have gotten away with it up to this point in time. On 1/22/2015, remember this date. Wild Horse Advocates stood and made the attempt to let the public know, American’s and Taxpayers alike all of us, and was censored by the BLM, with welfare ranchers in attendance booing and hissing at the Advocates — Welfare ranchers essentially taking part in violating the Constitution and the very elements of Free Speech. . . Yet, these welfare ranchers will bilk billions of dollars in taxpayer money via loopholes in antiquated laws and government policies — and at the same time demand their Constitutional Rights be upheld, in order to scam the public and American taxpayers for even more tax money. It is time to put an end to welfare ranching, and place Wild Horses back onto Public Lands — AMERICA’S PUBLIC LANDS!